From a former marine and Yale graduate, a powerful account of growing up in a poor Rust Belt town that offers a broad, probing look at the struggles of America's white working class. The Vance family story begins hopefully in postwar America. J. D.'s grandparents were "dirt poor and in love" and moved north from Kentucky's Appalachia region to Ohio in the hope of escaping the dreadful poverty around them. 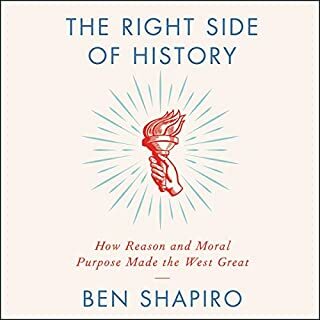 They raised a middle-class family, and eventually their grandchild (the author) would graduate from Yale Law School, a conventional marker of their success in achieving generational upward mobility. A deeply moving memoir with its share of humour and vividly colourful figures, Hillbilly Elegy is the story of how upward mobility really feels. And it is an urgent and troubling meditation on the loss of the American dream for a large segment of the country. I always enjoy autobiographies read by the author and this was an exceptionally good one. Amazing life story surviving incredible poverty and family challenges but also some robust thinking and analysis about what makes a difference and how things work. Great book, insightful and well written. an inspiring story, personal and honest. Lessons we all can learn from and be inspired by. This book gave me a better understanding and I g of my own life and failures. It is more a self help kind of book as one of literary significance. Well written and it answers so many of the questions to socio-economic problems we are trying to solve. If your like me and your searching for answers about today's world and how to succeed , then J.D Vance takes you closer to the door step of your enlightenment and freedom. The book is a memoir of an American white man that is rarely shared that transcends race and unites the poor/working class and their struggle for upward social mobility that is strangely familiar. In the wake of this new Brexit and Trump reality, I've been looking for books, documentaries and articles to try and understand more about all the viewpoints and reasons for voting either way, regardless of which side of the fence I personally fall - my overwhelming sense is one of a deep lack of communication and consideration between any one part of society and the others. This audiobook delivers insight and sensitivity in SPADES and I'm so glad I listened. The story of JD Vance's upbringing, childhood community and transition into adulthood is generously and unflinchingly told, and interwoven with just enough detail on the wider political and socioeconomic history of "rust belt" America. The overall impression is of an almost dynastic family saga all the more affecting for being true - I think Anne Tyler must have a long lost nephew from Kentucky, if I were JD Vance I'd be demanding a DNA test! Most of all, it's a really compelling listen and I wasn't expecting to enjoy it so thoroughly as I did! Top quality both in the writing and the narration. It can be touch and go when authors narrate their own audio, but Vance does an exceptional job. A very timely book which deserves all its accolades. Don't hesitate! Schools, social workers, courts, medical professionals, employers - all have a responsibility to our children and their families in distress; but as JD says, it's the parents of these children that bear the biggest responsibility. When those parents falter, we have to be there. 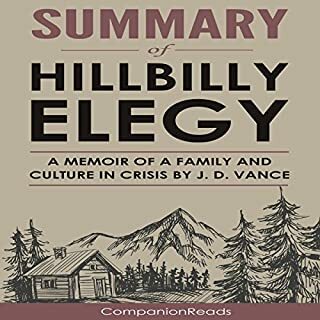 What did you like most about Hillbilly Elegy? The candid writing style and level of detail about the main and auxillary characters. As well as it's ability to act as a window into a type of life which seems very alien from those you often meet. What was one of the most memorable moments of Hillbilly Elegy? Any of the stories which involved Mamal. Sounded like an amazing woman. Absolutely recommend for those who are interested in the social changes our societies are going through as well as the challenges public policy makers have for the future. Explained a lot about the rust belt in America. No problem getting this book read...was facinated from beginning to the end. Explains life for the struggling middle white Americans through a very understable journey. 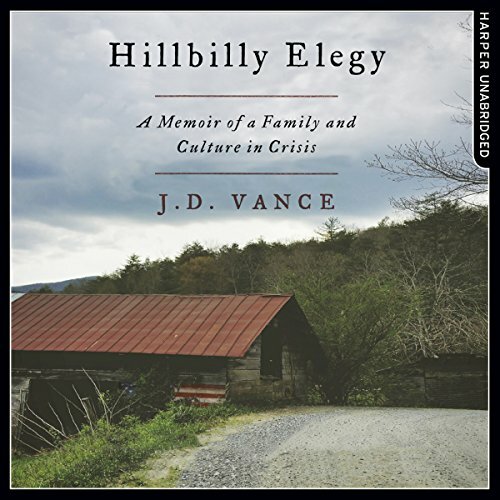 JDVance carries us through each element of Hillbilly life from a micro and macro perspective. Read this and you will understand why the all American dream isnt available to everyone. The book is good, not great. J.D. 's reading of it is OK, not good. He is a touch on the monotone side, reads too fast, and takes too few pauses. The overall effect is that he's reading words with little feeling, just trying to rush through it as quickly as possible. By the end I was used to his voice and it didn't bother me too much, but it took half the book before I felt comfortable -- it was hard work concentrating just to keep up with the rush of monotonous words. The 'story' is good, and reveals a lot about his life and where he came from. I recognise flashes of his upbringing in my own life, there's some universal truths about certain backgrounds I guess that work across continents and cultures. What made this book disappointing was the rave reviews it got last year. It was good, but I think I hoped for more. The next book I listened to after this was Kevin Hart's 'I Can't Make This Up' and the contrast was amazing. It's a very different book, but his childhood wasn't that different to J.D. Vance's. They had similar problems, similar attitudes, similar expectations of life and similar beliefs. Kevin's telling of that period is so rich, and so well delivered, and it made me appreciate it all the more after just reading this book. I wish this book had been more like that. Though from England, I recognise so much of this book in my home town of Newcastle-upon-Tyne, UK. It's a universal story of poverty and communities in crisis. I found this book to be very honest, interesting and well told. A friend suggested I read it and I’m glad. Fantastic, not an easy listen by any measure but provides context to what is happening. 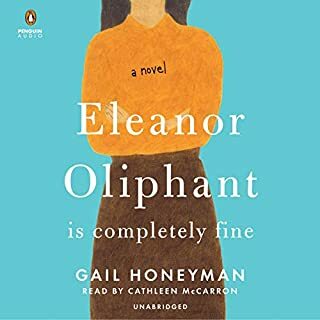 I loved this book for the way it made me think about families, society and politics. J D Vance tells how he escaped from the poverty and abuse of his childhood through hard work, education and the love of his grandmother. Don’t think this is just another misery memoir - it’s a startling first-hand account of how society is breaking down amid the opioid crisis in the USA. For a young man you did extremely well JD Vance. I'm in my 70's and can relate to your memoirs. Your narration is excellent. There is a lot to learn from your story and the way you value the role of each individual who make up that story. Thank you. I enjoyed this book. It was an interesting and in ways quite a disturbing read about the inequality endured on a daily basis. 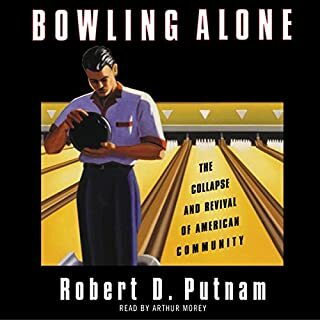 Really enjoyed this unique and personal account of a much wider problem in American society. I could relate to JD Vance's story in many ways, despite being a non-American. 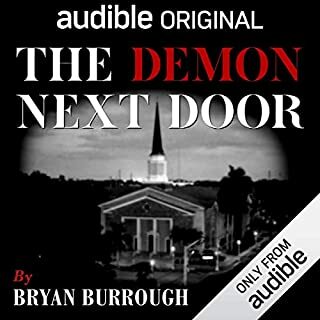 The audiobook was read very well by the author. Amazing to hear the perspective from another person from a similar socioeconomic rung in childhood. Our experiences may differ, however our struggles are the same. J.D. Vance has written a strong very personal memoir about growing up a hillbilly refugee travelling from darkest Kentucky to the more urban badlands on Ohio. We meet his hotch potch family from a loving & terrifying Grandma, his sister & brother to his drug scarred mother and an array of aunts and uncles and grifting men who move in with mom. He kicks down the doors to the middle class and beyond - graduating in law at Yale and joining a prestigious law firm. He marries and, apart from episodic battles with sine ingrained demons, succeeds in breaking with the desperate Appalachian poverty. While there are deep contradictions in J.D.’s politics, the insights into how his people end up where they do are brilliantly sharp and clear eyed. It’s a must read. There appears to be such honesty in this frank account of this young mans life. His clever analysis is made all the more impactful because it is his life, his family and his tribe. Like most people my knowledge of Hillbillies was based on stereotypes with little understanding of this community. I was fascinated and totally absorbed by the journey of J.D. Vance as it also applied to disadvantaged communities everywhere. I had new insights insight and so appreciated the honest and not self pitying tone of the author. This account is interesting insight into the difficulties faced by children growing up in dysfunctional families from a disenfranchised class called Hillbilly's in USA . The author narrates his story in an accessible way. There is plenty to discuss and the authors theories provide insights into how he managed to move upward and out of the class with education and the support. 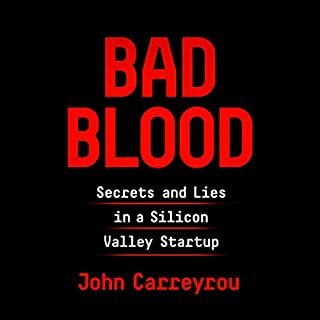 I listened to this book after a friend suggested it. She said it gave insights into the poor who supported Trump. It did provide a confronting window into the lives of the rustbelt poor in America. It also depicted a family in crisis and the poor stock of skills many people have to deal with the situations facing them. Of course many of the problems are found here in Australia too. Some of my extended family post Pauline Hanson opinions on Facebook that would fit seamlessly into hillbilly culture. J D Vance gives an honest account of a difficult life, his subsequent successes and ackowledges those who helped him out of the mire. I recommend it as a great read. Enjoyable, eye opening and relevant. This could so easily describe many different communities around the world.